We are offering Anti Viral Preparation to our customers. 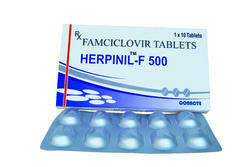 We are offering Famciclovir 500mg Tablets. Mucocutaneous herpes simplex virus disease. Herpes Zoster infection in immunocompromised patients. 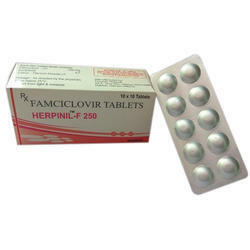 A prodrug of penciclovir, a Guanosine Analogue that inhibits Viruses of the Alpha Sub-Family of the Herps Viridae. 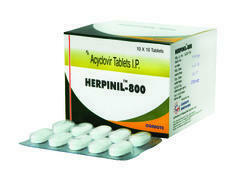 Effectively Eradicates Gentle Herps with a short course of therapy as per Fast* study1,2,3,4. A first - line Treatment with Treatment compliance, patient acceptability, and subsequent Treatment outcomes. 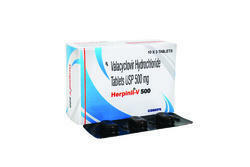 We are offering Anti Viral Tablets. 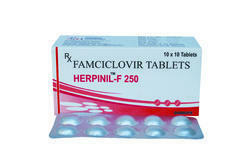 We are offering Famciclovir 250mg Tablets. 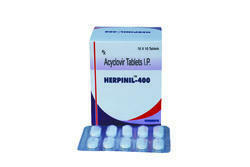 We produce Acyclovir 400mg Tablets. Packaging Details: Herpinil 400 tablet Herpinil 400 tab. 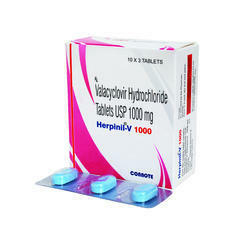 We produce Acyclovir 800mg Tablets.